The rapid adoption of cloud applications and services has fueled the need for new security solutions, such as Cloud Access Security Brokers (CASBs). But how do these systems weave into your overall security infrastructure? There are many intersections to consider, such as DLP, Advanced Malware Protection, Web Security and Endpoint where organizations are navigating how to best integrate cloud security into their environment. 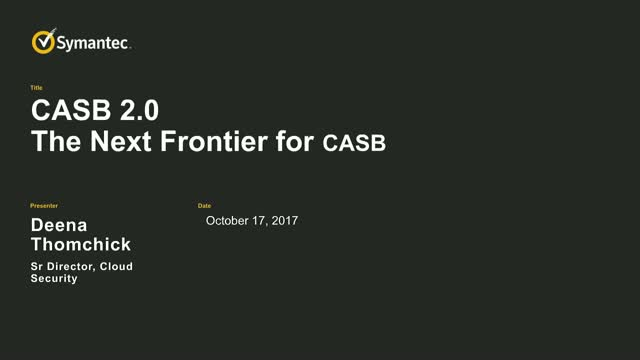 This talk will explore this next frontier of CASB solutions.